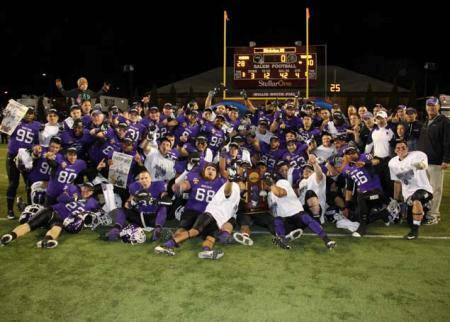 Quarterback Kevin Burke threw for two touchdowns and Charles Dieuseul blocked a punt and returned it for a touchdown to lead Mount Union to a 28-10 victory over St. Thomas (Minn.) Friday night in the NCAA Division III Football national championship game. This title, Mount Union's 11th overall and its first since 2008, is the first team championship won by an AICUO member institution this academic year. It also represents the 20th national football crown won by AICUO member institutions since World War II. In addition, Mount Union head coach Larry Kehres was named the d3football.com National Coach of the Year.